There are numerous examples of company names tied directly to an individual. That person is often the founder but could also be a key personality. Even our current president achieved a great amount of fame by attaching his name to everything from hotels and golf courses to steaks and an online university. Naming a company after an individual can add some personality to the brand and make potential customers feel a more personal connection to that brand. We know who the frontperson is; we know what they look like; and we know a bit about their personality and character. But that isn’t always a good thing. If that prominent personality carrying the name of the brand becomes controversial or disliked, the fortunes of the company can take a major hit. We saw that with President Trump himself, shortly after he took office. Even his daughter Ivanka recently announced she would be closing the fashion brand named after her following boycotts and negative publicity surrounding her and her family. Two additional recent examples highlight this point. On July 11, John “Papa John” Schnatter resigned as chairman of the board of his namesake pizza company after it was revealed he had used the N-word during a May conference call. The revelation and the subsequent media circus around Schnatter’s resignation and quarrel with the company he founded has led to decreased sales and a negative stock market outlook for Papa John’s. The personality linked to a business doesn’t have to be an owner or founder either. The much-hyped return of the popular 90s sitcom “Roseanne” was abruptly cancelled after series star Roseanne Barr issued a tweet calling former Obama senior advisor Valerie Jarrett the offspring of the “Muslim Brotherhood & Planet of the Apes.” The episode was a shocking 180-degree turnabout in the fortunes of Barr and the popular show. ABC simply felt it couldn’t handle the massively negative association with Barr, although it did ultimately decide to move forward with a spinoff called “The Conners,” which will include everyone from the cast of the planned “Roseanne” revival except for Roseanne herself. 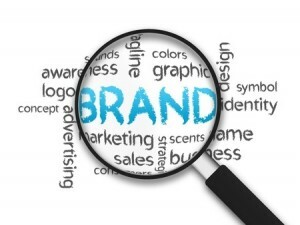 Equating a brand with a personality can be risky business. While there may be benefits in associating products, services or the company in general with a well-known, well-liked individual, if that person’s star suddenly falls, they can bring the entire organization down with them. It’s just one of the many considerations that marketers must keep in mind when choosing a name—and creating a brand—for their organizations. This entry was posted on Friday, August 10th, 2018 at 8:48 am	and is filed under Brand Management, Marketing and Branding, PR and Media Relations. You can follow any responses to this entry through the RSS 2.0 feed. You can skip to the end and leave a response. Pinging is currently not allowed.